Kalsey Kulyk has enjoyed a lifelong passion for music. 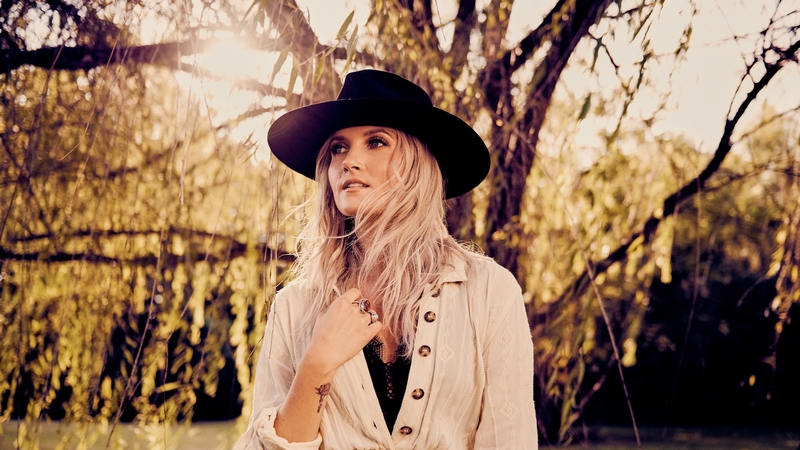 Mixing effortlessly rich and bright vocals, with lyrics you feel in the guts, makes her sound both fresh and familiar, and perfectly honed for country music. True to country’s roots and Kulyk’s calling, her new EP scheduled for release in 2019, delivers impeccable songwriting with classic upbeat country and heartfelt ballads. “I’m really excited about the music that I have now,” says Kulyk. “I feel it really encompasses everything about me, and who I am, and what I want to give to my audience. I grew up around a lot of old school and ‘90’s country music - Lee Ann Womack, John Prine, Dolly Parton, Shania Twain, Emmylou Harris, Jason Isbell… And I think that can be heard in the overall style of my music. My friends say I make people cry. I don’t want to make anyone cry, I just want to make them feel something. If they do, then I’ve done my job.” Raised in Hudson Bay, SK, Kalsey Kulyk got hooked on music at a young age, singing and playing the guitar. She took part in hundreds of talent shows and competitions, winning her first songwriting competition at age 13. Everything changed in high school when Kalsey fell ill and couldn’t seem to get well. It was cancer. Through both her own journey to recovery and interactions with others on a similar path, she drew songwriting inspiration, and the entire experience solidified Kulyk’s belief in a career in music. Now ten years in remission, she says “What is life unless you’re doing what you love every single day?” Shortly after her recovery, Kulyk became acquainted with Fleetwood Mac producer Richard Dashut who invited her to Las Vegas to record and hone in her craft. It was also Dashut who gave Kulyk her first taste of Music City, and her progress in the creative capital didn’t go unnoticed. Invited to participate in both the Canadian Country Music Association’s Discovery Artist program, and ole’s “On the Spot” competition, Kalsey won both - on the same day no less. A dream come true for the artist, she returned to Nashville with both publishing and record deals, and wrote songs with Liz Rose and Phil Barton. Now with an arsenal of songs and a survivor’s determination, Kalsey Kulyk is ready to hit the road and share her passions with the world.